A new method to detect improper storage. A stability expert in a chip: LifeTrack technology lets you embed your stability expert's detailed product knowledge and stability calculating experience into an inexpensive electronic chip. 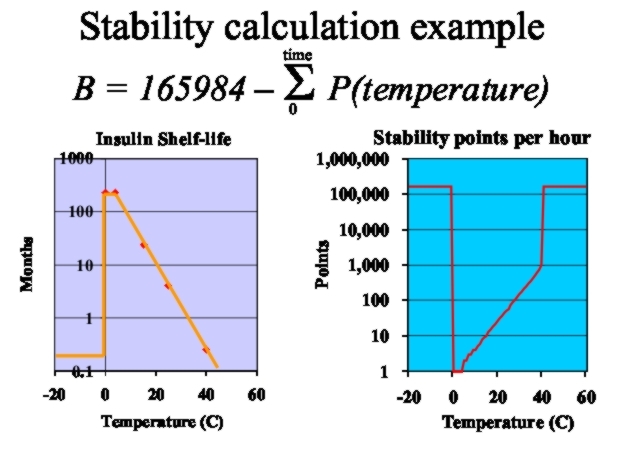 Programmed with your product's precise time-temperature sensitivity curve, it can stay with your product throughout its lifetime, constantly monitoring the impact of temperature and time, and constantly computing the product's remaining storage-life (shelf-life). It's intuitive display shows remaining shelf-life at a glance. 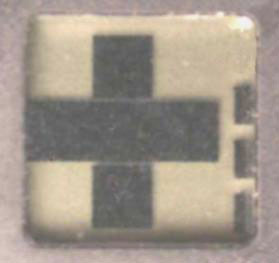 LifeTrack technology computes the integral of time and a user programmed temperature function, and tests if the cumulative value is acceptable. LifeTrack technology allows sensor tags to be flash-programmed with the precise details of your product's stability. This allows sensors to know exactly what conditions your product tolerates, and how long it can last, at every temperature from -20 oC to 70 oC. Accommodates complex stability profiles. 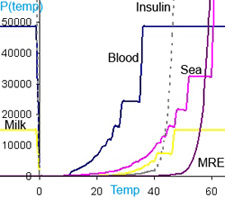 Examples: The graphs below show how LifeTrack technology can accurately monitor the stability of five different materials: Milk, Seafood, Blood, Insulin, and MRE (highly stable canned food). Y axis: Days lifetime, X axis: oC. 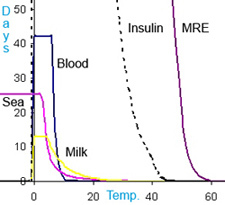 Note that at lower temperatures, the lifetime of insulin and MRE is many years, and thus extends off the chart. Y axis: P(temp), X axis: oC. 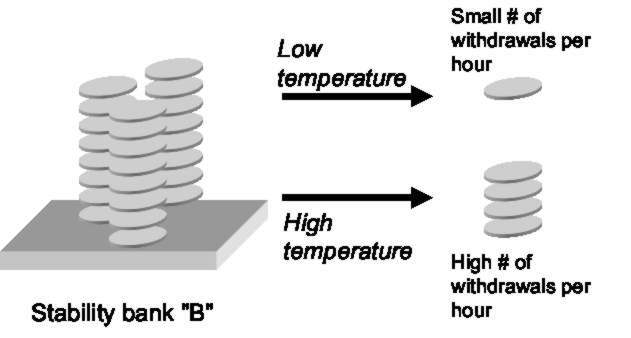 Note that some materials are damaged by freezing temperatures, and thus have a high P(temp) below 0 oC. Want to create an EPC Gen 1 or Gen 2 standard RFID tag with an embedded time-temperature data logger? Normal data loggers send out massive amounts of extraneous data, quickly overwhelming the limited amount of RFID memory available in the standard EPC format. LifeTrack technology conserves precious tag memory by allowing you to send just the most important part of the log: exactly when and how an unacceptable temperature excursion has occurred. Now you can have both data logging and compatibility with existing EPC standards. 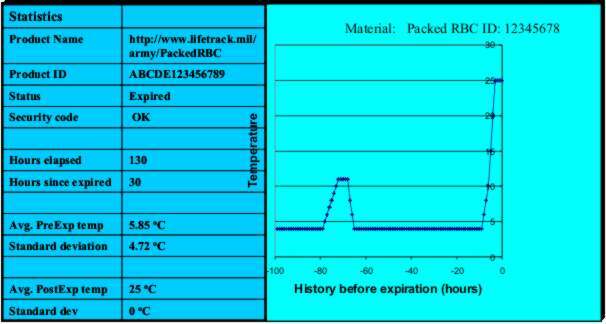 The LifeTrack technology demonstration unit stores and outputs a detailed temperature history log and statistics through its standard onboard infrared port. Designed for easy internet connectivity, it's open-source data format and standard "Perl/CGI" interface shows how authorized users can have complete control and ownership of their data. 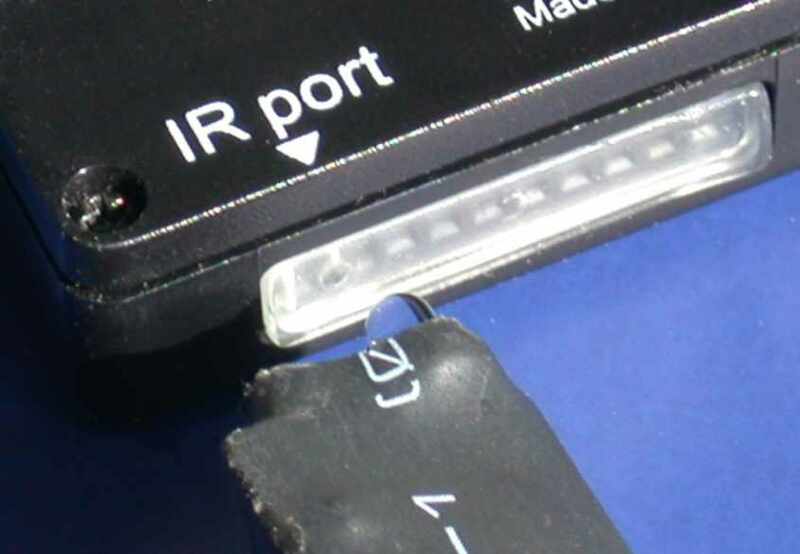 Each demonstration unit has unique security codes and individual serial numbers, designed for compatibility with FDA 21 CFR part 11 requirements. Each demonstration unit also has a 60x speed "QC test mode", showing how LifeTrack technology devices can be rapidly validated.